Emergency Plumbing | Ken Neyer Plumbing, Inc.
A good plumber is available to help you with a wide range of scheduled plumbing jobs, such as doing leak detection to find hidden leaks, regularly cleaning drains, installing new fixtures, and replacing old pipes. A great plumber is also ready to help you out in an emergency with 24-hour assistance. There are plenty of ways household plumbing can go wrong, and below are situations where we recommend you get on the phone immediately for an emergency plumber. A Pipe Burst! What Do I Do? 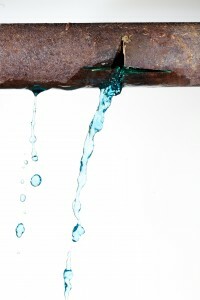 The period at the end of winter is the time when plumbing pipes are at the highest danger of bursting. When any frozen pipes might start to melt from warmer weather is when the pressure in the pipe dramatically spikes and causes the lateral bursting. You always want frozen pipes dealt with by professional plumbers as soon as possible. But if you do run into a burst pipe emergency, you’re past the point of prevention or a planned remedy. However, you shouldn’t panic. We’ll help guide you through what to do in the case of a burst pipe that is threatening to flood parts of your house. Posted in Plumbing | Comments Off on A Pipe Burst! What Do I Do? Winter is almost here. Is your home ready for another cold season in Ohio? We’ve put together a few tips for helping to winterize your home, in particular its plumbing. One of the important plumbing services that we offer to our customers is fast emergency repairs for major plumbing mishaps. Whenever you have a plumbing problem that needs to be solved now, not when office hours begin, you only need to call our 24/7 number for quick solutions from our professional plumbers. Of course, we can’t teleport to you. When you encounter an emergency like a toilet that’s overflowing there are steps to take to reduce the problems and the dangers of water damage until we arrive. Below is a list of what to do when you have an overflowing toilet. 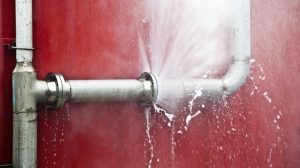 What Counts as a Plumbing Emergency? Offering emergency plumbing services is a basic part of what we do. We know that there are times when you simply cannot wait for a contractor’s regular office hours to start before you have the help from professional plumbers that you need. We’re ready to answer your call and have one of our specially trained plumbing experts out to your house. Posted in Plumbing | Comments Off on What Counts as a Plumbing Emergency?